Misner & Smith perform with a full band on Sunday, Nov. 19, at Rancho Nicasio, 1 Old Rancheria Road, Nicaso. 4pm. Free (reservations recommended). 415.662.2219. 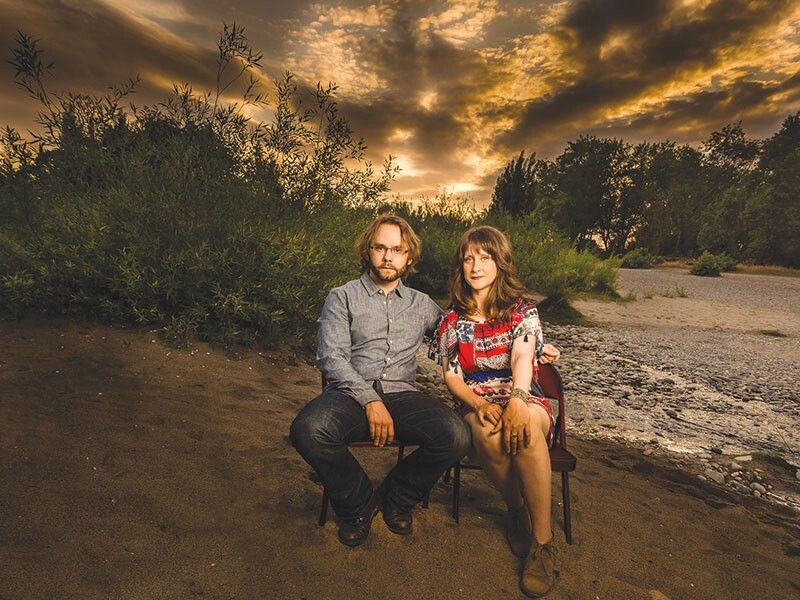 MUSICAL DUO After their last album, Sam Misner and Megan Smith needed to recharge creatively. Longtime collaborators Sam Misner and Megan Smith have shared stages since meeting at a Shakespeare festival in 2002, and for the past decade, they've made a name, or names, for themselves with rich, resonant Americana under the moniker Misner & Smith. headwaters, which travels back to the source of their musical yearnings. Misner & Smith showcase these songs in an afternoon album-release show at Rancho Nicasio on Sunday, Nov. 19. Originally hailing from Petaluma and Davis respectively, Misner & Smith's previous four albums were comprised of original compositions full of compelling storytelling and evocative harmonies. On headwaters, Misner & Smith open the door to their personal inspirations with their first collection of covers. "In the years we've been playing, we definitely throw some covers into our shows," Misner says. "The big reason we wanted to do [this album] was to pay tribute to where we've come from as songwriters and performers." The new album opens with Simon & Garfunkel's "America," and features selections from Gram Parsons, Neil Young and Patty Griffin. As the record progresses, Misner & Smith open the floodgates a bit with covers of 1966's "Coconut Grove" by the Lovin' Spoonful, 1986's "City of Dreams" by Talking Heads and 2012's "Turning the Century" by modern rockers Dr. Dog. "We also wanted to show the range of stuff that's influenced us," says Misner. "We don't linger in any one genre in our original music, which can be tricky sometimes for marketing. But we pride ourselves on that diversity of music." The duo also chose a covers album as a way to inspire themselves after emptying the well of creativity on their last album, 2013's Seven Hour Storm. "We threw everything we had at that album," Smith says, "which was fun because we made our dream album, but when we were finished with it, we were exhausted. Doing this album has kickstarted a lot of that inspiration again by revisiting stuff we love so much. "Now we have a whole handful of new songs, and we are feeling full."